Savita and Veena (25, 20) were granted the official honor of becoming India’s first married lesbian couple on July 22 after Savita’s divorce from her husband was finalized. Savita, fully aware that she was a lesbian, had been forced to marry a man against her will. It didn’t work out for some reason. Shortly after their wedding, the newlyweds began receiving death threats from neighbors and relatives who threatened the couple. 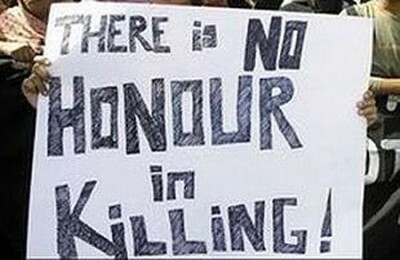 Savita and Veena have been made to live in fear of an “honor killing,” as they live on the planet earth and for some insane reason lesbianism, but not murder, is considered to be disgraceful to a family’s reputation. Ugh. Their lawyer said the court had served notice on 14 of Veena’s relatives and villagers who had threatened them with “dire consequences”. Congratulations to the happy newlyweds. Condolences to the fearful newlyweds.